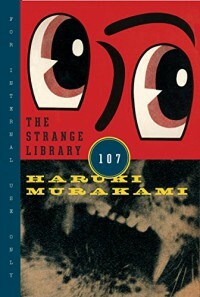 First book for children by Murakami and it is completely immersed in his surreal world. It is a bit macabre, reminiscing original Grimm tales. I cannot shake a feeling that he wanted to convey the idea that libraries can prepare you for living - even encountering hard times that leave you at the beginning of [b:The Stranger|49552|The Stranger|Albert Camus|https://d.gr-assets.com/books/1349927872s/49552.jpg|3324344].